Colleges and universities make it very easy to find a name behind a phone number that called you for free – as long as the person that called you is associated in some way with the school. In many situations, you can sometimes find out even more personal details about a person using these directories than just their name – but how would you know what school directory to use? Luckily, Google makes this very easy. Our unknown phone number is (573) ***-**** (removed to protect this person’s privacy). Let’s see if we can find who this number belongs to using a school phone directory. 1: By entering the phone number into PhoneDetective (click here to use). We can see that the location is in Columbia, MO. 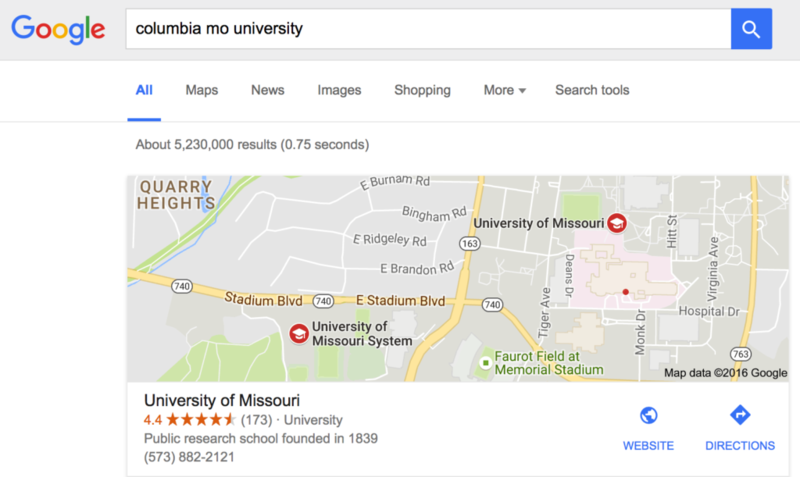 3: Alright – so it looks like the most prominent University near Columbia is the University of Missouri. 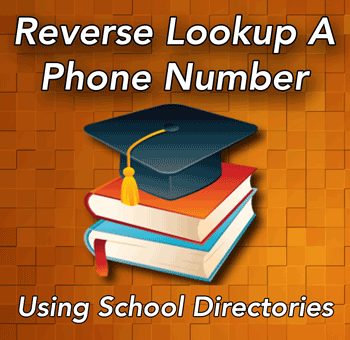 By doing another Google search with the school name and “directory” we can then find the schools directory that we can enter the phone number into and hopefully find out who the owner is. 4: On their directory page, they make it very clear that the application is designed to locate any student or faculty member using just one field. In this situation, since we have the phone number, we are going to use the phone number section to enter the number and see if we get any results. After entering the phone number, we get a result! This was pretty lucky, we got a result on our first try, and we also got a lot of additional information along with the full name of the person who called, including their email address, address, and their affiliation with the university. 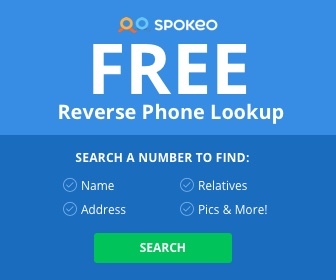 With this information, it makes it very easy to determine who called you thanks to these free directories that are usually always available to the public for free. In many cases, you don’t even need to be affiliated with the college or university to use them. If you don’t get a result on your first time searching, don’t loose hope! There are usually other colleges and universities in the area that may have the information instead, so you might need to search around a bit and go to a few directories before you get a match. If you still haven’t gotten a result after searching the schools in the area, it’s very possible that the owner of the phone number filed to have their information removed from the database, and in that situation you might be out of luck and this method won’t work for you. However – there are a lot of other methods available for you to try by going to the Methods section of this site and scrolling through them.